In terms of long term installs that run for months, or for extremely long distance runs of cable; signal becomes an extremely important component to your setup. One of the biggest issues in dealing with BALUNS (or balanced to unbalanced) is delay. Often times the best judge for how much delay is the price. If it is cheap, expect a loss of several milliseconds. Many baluns I have used in the past have been through coax or Ethernet as well as HDBaseT. However, have found that the best balun for me has been the Gefen DVI over Fiber. Rather than a box for conversion, Gefen uses front end ports that stick out from the connector attached to the projector. From that fiber is extended from the rear of the device on both ends. The only end that needs power is the receiver, but it is best to keep the power around in case your graphics card does not have enough power output to power the the sender. It is designed to be used by inserting the sender into the output (ie projector, video matrix, television) and capturing the EDID information. I have found it is best to remember to do this before hanging anything as this can be time consuming. From there the sender is connected to the media device and receiver on the other end. This particular device is capable of resolutions up to 1920 x 1200. As of this writing there is currently a new model (FM2500) that is capable of 4K resolutions. Transmission distance is up to ‘5000ft. I have only tested up to ‘1000ft, and I would have to say that the results are impressive. 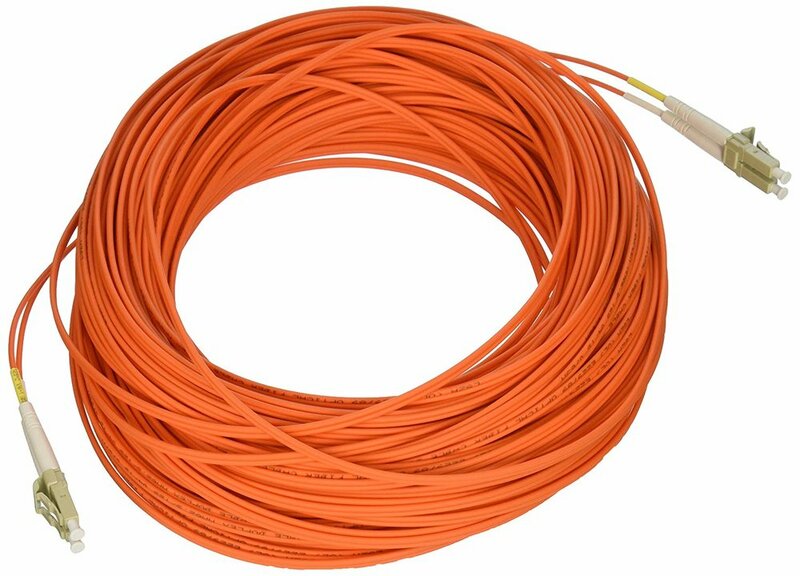 The most beneficial use of fiber is the complete elimination of interference as the glass filament inside does not conduct like traditional copper wires. Connections can be made with either a single or multimode fiber patch cable up to 5,000ft (single) and 1,500ft (multimode). I have been using multimode for the purposes of theatre and it has been very successful. For the purpose of a traditional theatre install it should be noted the delicate nature of fiber optic cables extra care should be taken to not bend the cables past a two inch bend radius. In the case, extreme installs, it may prove to be beneficial to invest in tactical grade fiber cables enforced with kevlar.